Chile. Earthquakes and wine. The driest place on earth (the Atacama desert) and some of the most dramatic mountain scenery you will ever clap eyes on (Patagonia). You have to see it on a map to understand its wild improbability: the longest-thinnest country in the world, hooked to the very bottom of South America's jumping-off-point for the Antarctic. From Tierra del Fuego it stretches 4,300 km north to Peru. That's the width of the United States, but narrower than the state of Florida. It would take you 16 days to drive from one end to another – if you were mad enough to think of it. It's a nation defined by mountains, squeezed onto the western seaboard of the continent by the Andes. Which you understand as you fly in. Nod off and wake up and they're still stretching on below you: forbiddingly snow-covered or aridly barren. The perfect setting for an aircrash-survivor epic. As soon as you're over the Andes, take a hard left and you're landing in Santiago. This city is not a picture-postcard destination in itself, like Rio or Buenos Aires, with their gritty local colour. You're probably here en route to Chile's unmissable landscapes of the Atacama or Patagonia. Probably with a night or two on the coast nearby at Valparaiso, maybe staying at a beautiful vineyard estate, and also flying down for a couple of days on the the wet and wild island of Chiloe with its mystic culture and extraordinary "patrimonial" churches. And if you really want to see the best of this remarkable country, you'll also be going to the forests and waterfalls of the Lake District, and possibly including a trip out to Easter Island to see the extraordinary "heads". Chile was a great destination for our mother-daughter trip: exotically distant and also a bit energetically adventurous. But if you skip Santiago you miss the lifestyle of the 40% of Chileans who live here. This is the safest, most modern metropolis in Latin America, but it's still properly South American. You'll find all the familiar stores in the malls, but everyone doesn't speak English. Of course you want to be careful about your bags, but you won't feel a stiletto in your ribs unless it's three in the morning, you've got fistfuls of pesos hanging out of your pockets, and you've strayed well beyond the two-o'clock-to-three-o'clock pie slice of the city that contains the city's most attractive barrios. Wherever you look, you can see mountains, which is a thrill. But that, combined with some hefty pollution, makes for a smog bowl effect familiar to Los Angelinos. Best avoided in the hot, dry summer. The thing about Santiago is that it's a bit of an insider's city. (And, also like LA, a drivers' city.) You can't expect to set off strolling from A to B and take in all the charming streets and sights along the way. So the quirky shops and cafes are tucked away in side streets and underground malls, and a lot of the main avenues can seem a little characterless. With a little planning and perhaps some local help, you can discover the city's charms. 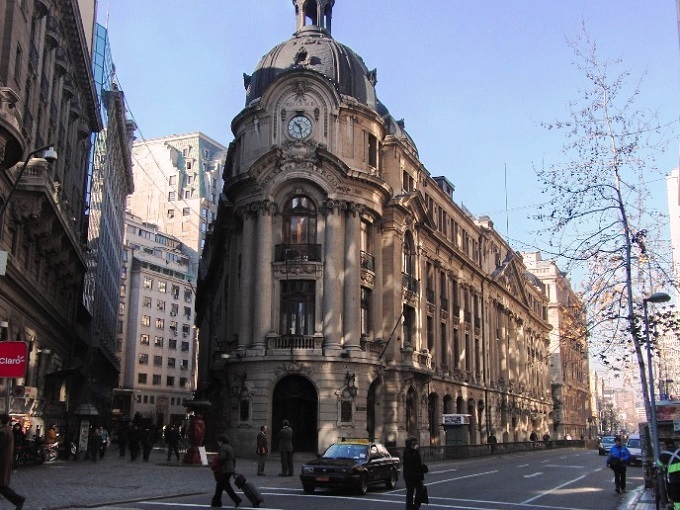 From the Centro Historico (Plaza de Armas and the Museo de Arte Precolombino) eastwards takes you to the cobbled roads and artsy streetlife in Lastarria – a great place to stay. Further east again is Barrio Italia with relaxed cafes and funky furniture shops. 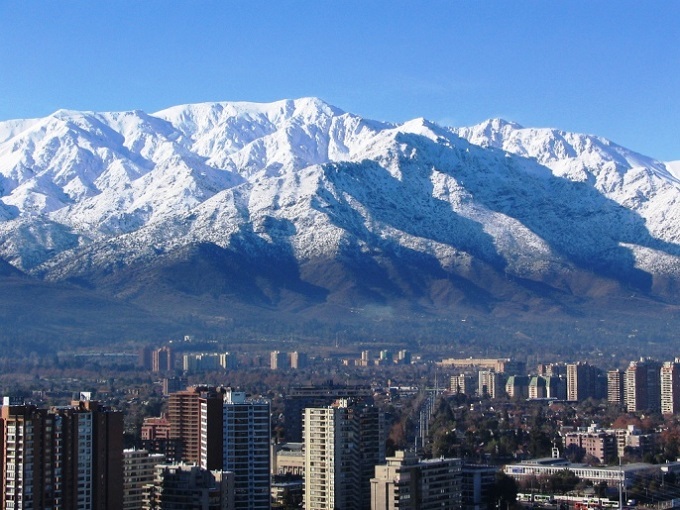 And then it's the alternative city-centre of Providencia, and swanky El Golf and Las Condes: Santiago's "Sanhattan". One of the charming oddities of Santiago is that it's a flat city - with hills. Perfect for the commuter cyclist, very pleasant for tourists. Impressively, the main streets of the city are closed every Sunday morning, when Santiago's joggers and cyclists take to the tarmac. You can pick up and drop off commuter bikes all over the city, though these solid little workhorses aren't what you'll need if you want to work up a proper sweat cycling up to the ankles of the vast, snowy statue of the Virgin on top of Cerro San Cristobal (your reward: panoramic views over the city to the Andes). The quirky architectural glamour of Hotel Luciano K, opposite the Parque Forestal (which does have trees, if not quite a forest...) was a great base for city-sightseeing. An early-evening mooch along Jose Victorina Lastarria takes you past street stalls and musicians to the green island of Cerro Santa Lucia. The hill park closes at 8pm – presumably to deter the very determined horizontal tango-dancing that goes on behind every rock and tree. Excellent seafood is never more than a coastal mountain-range away. Delicate merluza (hake) and reineta (bream) are delicious, and congrio, the "rosy conger, Giant eel..." was immortalised by Pablo Neruda in his Ode to Congrio Chowder. Always a good sign. Oh, and Santiago does brunch big-time. And pizza. Competing for honours for a herbal spin on the pisco sour are two neighbouring establishments in Las Condes. The glitzy W Hotel serves a fine Basil Pisco Sour, but if its fashionista self-consciousness is trying too hard for you, across the road Tiramisu is "buena onda" (cool). It's always lively, serves the best pizzas in the city, and their BPS is grassy-green, frighteningly delicious, and somewhat deadly. Favourite places for brunch: in Barrio Italia, the lovely Silvestre Bistro with its funky garden, and Holm Ensaladeria in smarter Providencia. Also in Providencia, you can watch the world go by at lunchtime from the charming terrace at Le Flaubert. And in the evening, La Diana enlivens the otherwise defunct nightlife of downtown Santiago Centro, with a smack-in-the-eye experience and great food. 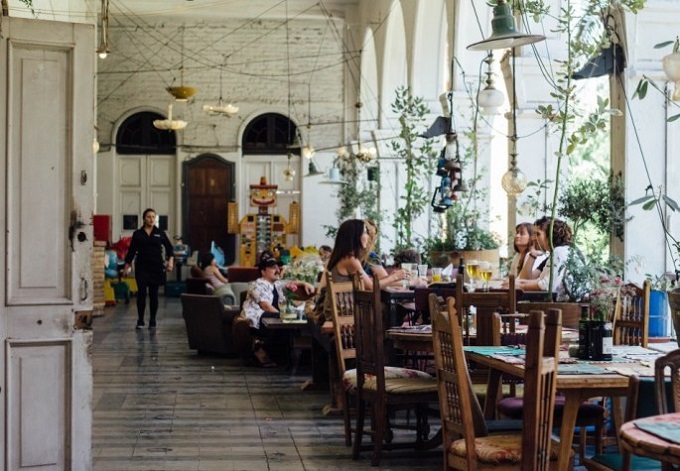 Get there in time to have fun in the adjoining Diana vintage amusement arcade before eating in the garden-jungle interior of a colonnaded old colonial building. Booking is a must, be patient about the service. If you only have time for one of them, don't miss out on a night or two in colourful "Valpo", Santiago's coastal city only an hour away.